In the month of May, I was nominated for the Versatile Blogger award by fellow blogger and now Internet friend, Cheyenne Jackson of Vintage Ghosts. Thank you so much for the nod, Cheyenne! Her blog is filled with wonderful recipes, food information, tips and more! I really look forward to reading each of her offerings. You should really check her out! For those that are not aware; The Versatile Blogger award is for bloggers that are considered to have good quality writing, photography, and a uniqueness of their post or articles. Here are the blogs I am nominating: Each of the following blogs are significantly different in their own way which makes each and every one very interesting blogs to explore! I have certainly enjoyed them and I really found it difficult to stop at 15! I am an information fanatic! I almost never watch television and when I do, that time is spent mostly watching the latest movies. Previous Post Watermelon Fairy Cakes– Summer time in a Cuppie! I know how much effort and energy it takes to run any blog, but creating the basis of the blog such as cooking before you talk about it, and not just rambling on like the stream of consciousness that some employ, takes a lot of effort. Well, done Miss you deserve it. Thanks, Ken! There really is so much involved in putting things together and there are so many noteworthy bloggers in the blogosphere to be celebrated! 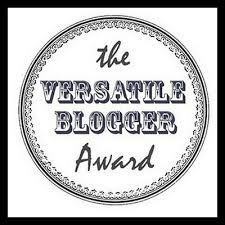 Congratulations on receiving the Versatile Blogger Award! Your amazing blog is certainly deserving. And thanks for nominating Vittle Monster – you rock! Thank you! And congrats to you as well! I really enjoy your offerings! Cheers!